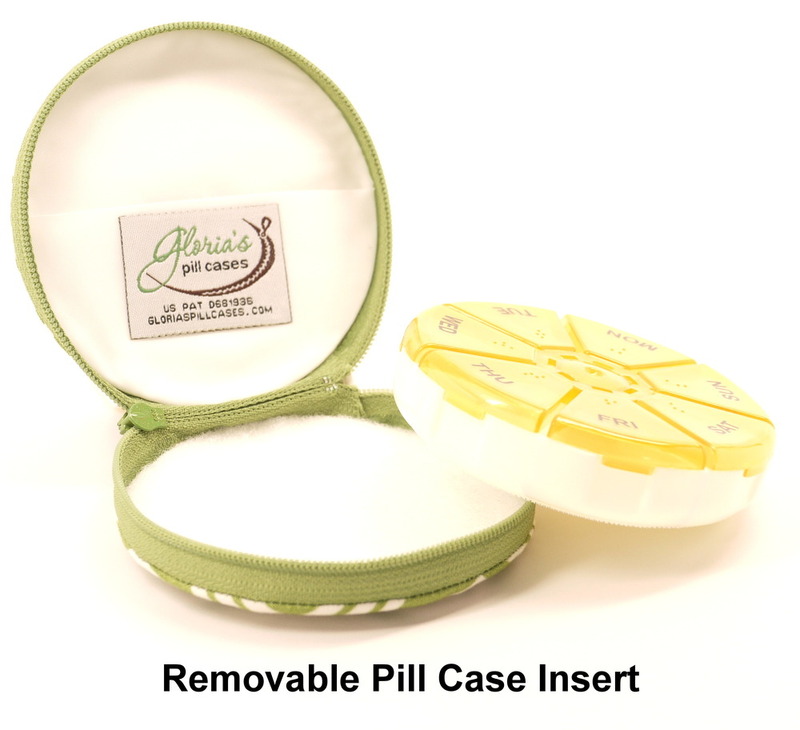 The Zip-A-Round Pill Case is a 7-day travel pill organizer featuring a fabric case with a secure zipper enclosure. 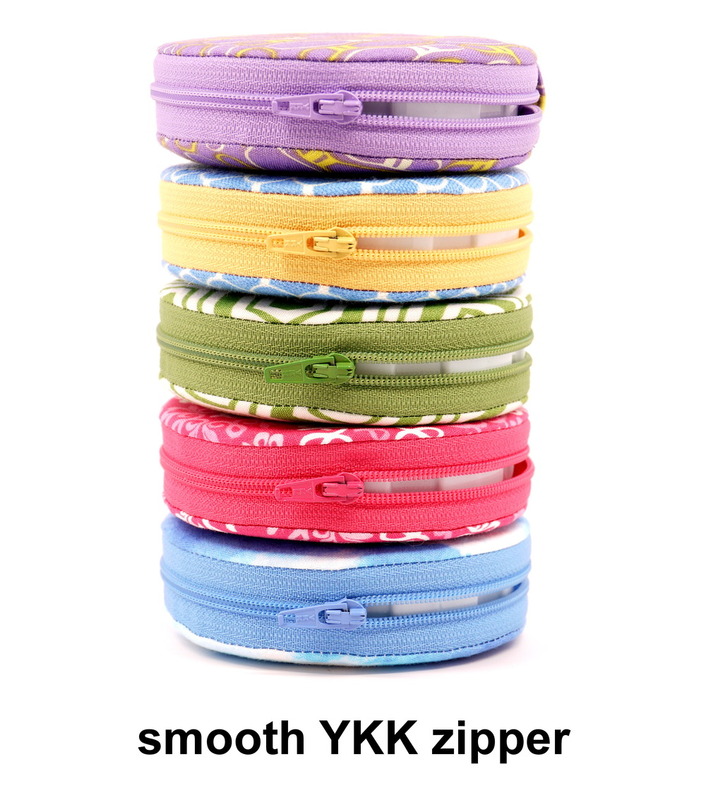 It provides a way to protect your pills while at home or while travelling or to carry around in your pocket or purse. Fabric enclosure provides a discrete way to carry your medication or supplements around without anyone knowing what is inside. Plastic pill case inside is large enough to carry many pills. 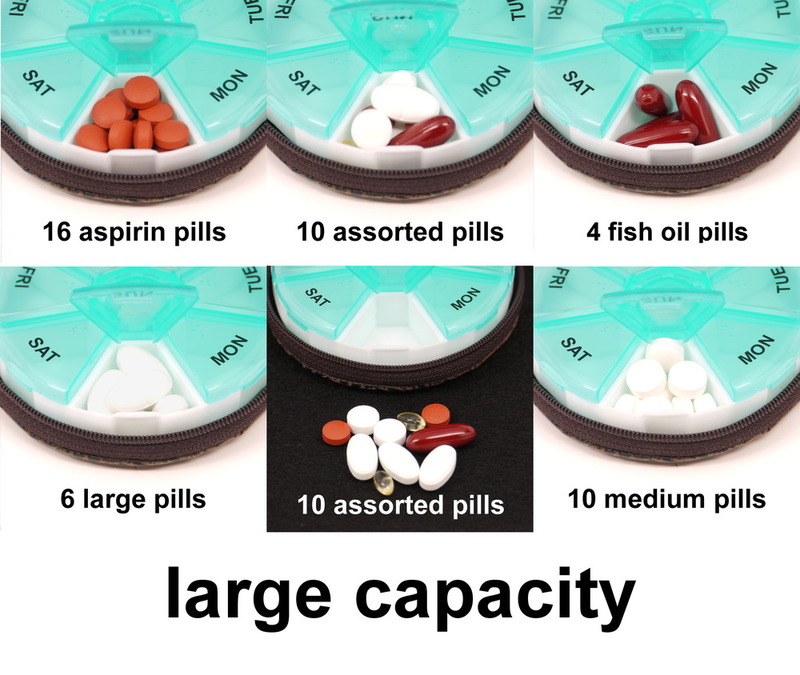 Each compartment can hold 18 aspirin sized pills, or 6 oval vitamin sized pills, or 4 fish oil sized pills. Plastic pill box is secured to the case with Velcro so that you may remove or replace the pill organizer. This is handy if you would like to organize a month's supply of pills. You simply fill four 7-day plastic pill organizers and swap them out each week. Additional plastic pill organizers are available in our accessories page and come in 4 different colors. Pick your favorite design with our wide variety of fabric choices. There is truly something for everyone!